As Britain’s residents get older, sometimes heavier and less mobile, there is a greater requirement for mobility products such as wheelchairs and powerchairs not just for the users themselves, but their families, carers and care home staff who may need to transport them quickly and easily. Karma Mobility listens to feedback from users when designing new solutions. “We take great effort in ensuring our wheelchairs meet the requirements of the user and their carer and a great example of this is the Flexx HD. Users wanted something which was configurable to their individual requirements whilst still looking good and continuing to be lightweight. The Flexx HD was developed with this in mind and is one of our most flexible wheelchairs” continued Mark. The Flexx HD caters for users weighing up to 170kg (26st,7lbs) and is available in 20”, 22” and 24” seat widths. The lightweight aluminium frame allows numerous adjustments to enable the user to configure the wheelchair to meet their requirements. Further comfort is provided by backrest height and angle adjustment. 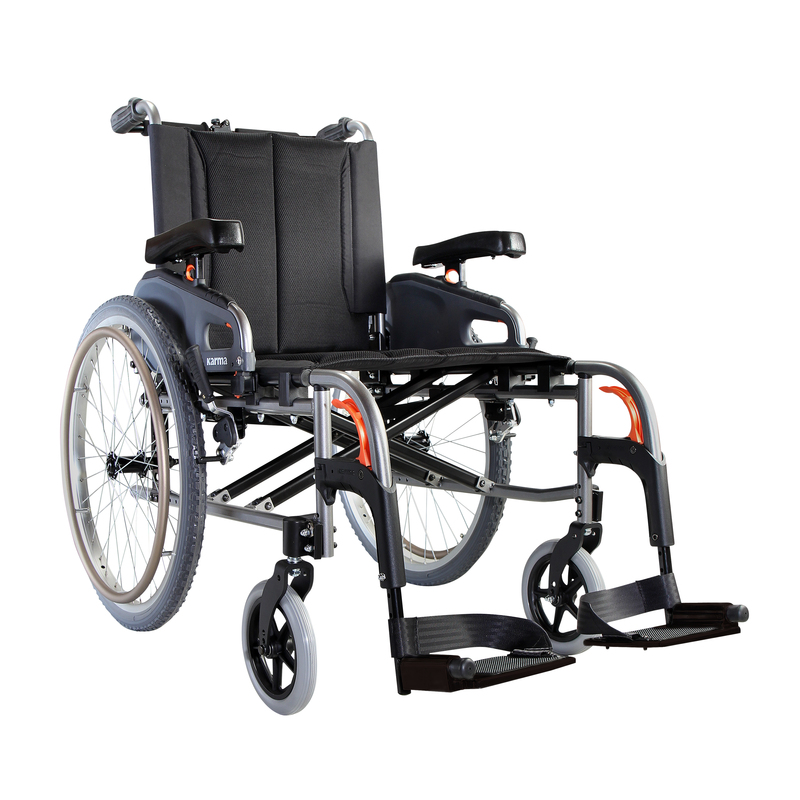 Additional features include: multiple rear wheel positions, adjustable castor angle, seat depth adjustment and a double cross brace for increased durability. It is also available in seat widths from 15” to 20” for users weighing up to 130kg. New developments and innovations in the design of wheelchairs and powerchairs have allowed an increasing number of users to be able to use the products more efficiently. For example, those who want to and can propel a wheelchair on their own, without assistance, have the option of a self-propelled wheelchair, whereas a transit wheelchair is best for those unable to propel themselves without assistance. Powerchairs can be driven on various surfaces and are ideal for people who want to retain their independence but may not have the strength to manage a self-propelled wheelchair. Next Article New Attempt To Help Families Find The Right Care Homes For Their Elderly Loved Ones.